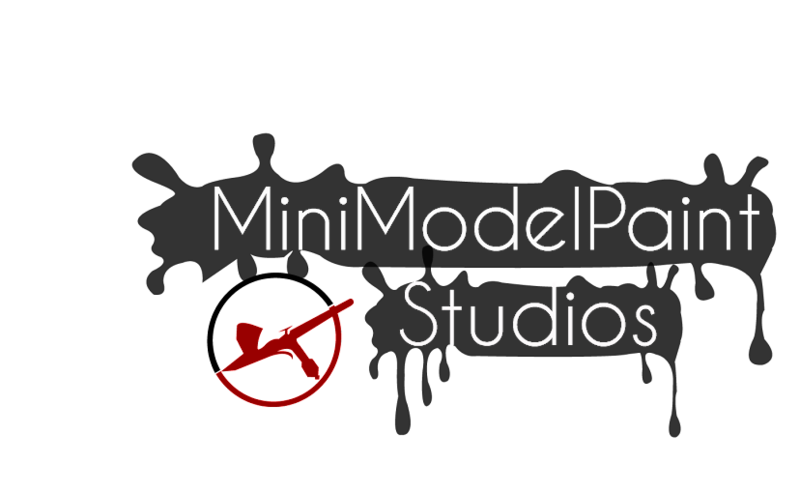 MiniModelPaint Studios: #spruecutters: How does your spouse (significant other) view your hobby? #spruecutters: How does your spouse (significant other) view your hobby? This interesting question was posed this week by the #spruecutters union. How does your spouse (or significant other) view your hobby? The answer, for me at least, is as complex as it is short: she tolerates it better right now than in recent months, but not as well as in recent years. My wife has been encouraging me to paint more over the last couple of weeks - we'd argued a couple of months ago about hobby addiction and one-track-mindedness, and that my hobby stuff was taking over the house. So I stopped painting for a while. Let me backtrack a few years: I was single, had moved back to my parents' house, had failed to find useful employment, and rediscovered painting and building models, after a 10-year absence, as stress-relieving. Maybe it was a cry for help, a denial of depression - who knows? I wasn't finding inspiration in writing music, and my video freelancing wasn't taking off well. I had a little money to burn, and I found that eBay served up all the Halcyon kits I had wanted when I was a teen. Aliens and Back to the Future boxes piled up in my dad's garage, and so did new paints, tools and even an airbrush and compressor. When my (then) girlfriend and I eventually moved in with each other, I was still casually gluing and painting - at this point, mostly planes and cars - and we even had a few evenings where she and I and her two kids would paint. Her daughter and I built an airfix spitfire and sprayed it pink, like the PRU planes from WWII. Her son, Mikey (then aged 8), repainted some Star Wars snap kits. They even bought me some GW Lord of the Rings hobbits to paint. Hobby utopia. We then got married, and moved house. Had a baby or two. Tightened our belts. One day, in Bluewater shopping centre, my stepson spotted this cool shop with an 8ft robot soldier above the door. He insisted on going in, thinking that Games Workshop sold video games. Instantly hooked at age 10, he pestered us to let him buy some figures to paint. Reluctantly, we said yes. I was more reluctant than my wife, knowing firsthand the pull this hobby can have, but bonding with him over glue could only be a good thing. I gave Mikey a few of my old unbuilt kits, and finished marines- from my uni days, where I had first succumbed to the lure of lead and plastic. We spent some time looking through old codexes and rules. I spent a lot of time trying to figure out most cost-effective ways to get him the Tau army he wanted. My wife even warmed to the idea of playing Lord of the Rings - and when it came out, Dreadfleet. We never got around to playing either, even though I bought the boxed games. Time and priorities always got in the way. Babies, work, lack of sleep etc. Back then, though, Mikey and I had a hobby area: somewhere to chill out and paint; somewhere to play the odd game of 40k. Then we moved again. Downsized. The hobby room got boxed up. Garage tidying/conversion in our new flat hasn't happened yet, and after 18 months it probably won't. Hobby time now means setting up and packing away, and planning the whole thing, which takes away the spontaneity - Mikey has cooled off even playing 40k at his school club (which he even founded), and hasn't asked to go to Games Day this year. His excitement for the new kits stopped around the time of the 6th edition Tau releases earlier this year. For me, though, it's still a case of trying to paint when I get a chance. I help out with the stepkids' school projects when my talents allow, although my 'stuff' has been decluttered from the kitchen, where it had invaded, and now moves to and from the garage in a crate, so I can set up quicker. My wife doesn't ask me about what I'm painting, and doesn't really volunteer enthusiasm when I show off a finished project. She's not keen on the idea of me painting to commission, and hates the time it takes to get anything done. She did just ask me if I wanted to paint tonight. I actually don't, but I appreciate the gesture. I wouldn't say my wife is a Warhammer Widow. She is begrudgingly supportive, and I do love her for it. I would like to find time in our lives for all our hobbies: for lounging around; vegging out in front of the TV; sport, and the rest of it, and maybe when we have our dream jobs, own our home, have slightly less demanding small children (the babies, not the teens), and 36hr days, then maybe, just maybe we'll get back to hobby utopia. Until then, I will strive to get a 'wow' out of her for one of my paintups.